The inclusion of the subject Eurythmy through all grades is an essential feature of Waldorf schools. 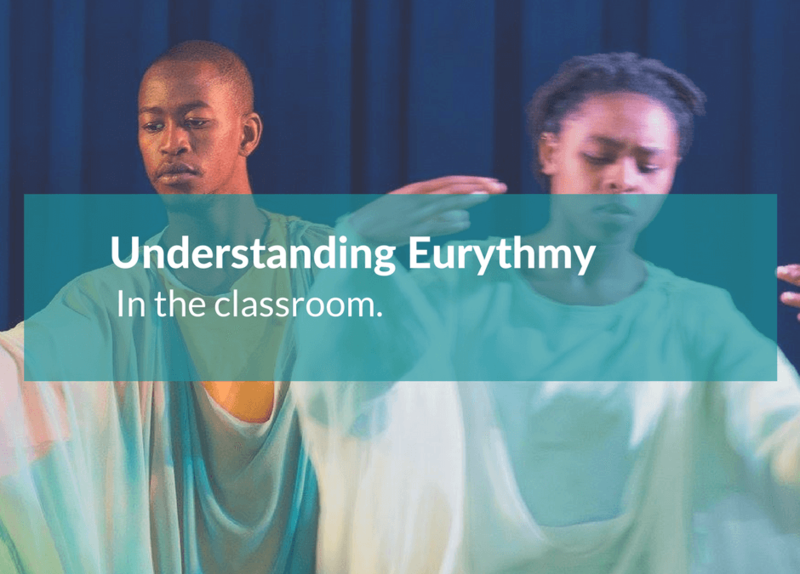 Eurythmy is a highly refined movement art which nourishes the children’s sense of well-being and aids other learning areas by strengthening expressive capacities, improving balance, coordination, concentration, rhythm, and awareness of patterns. The group forms help foster healthy class dynamics while the speech and tone work heighten the children’s appreciation for the finer quality in literature and music. Eurythmy is not dance. It is music or speech translated into movement and calls for a deep artistic feeling and understanding. The gestures in the eurythmist’s movement repertoire relate to the sounds and rhythms of speech, to the tones and rhythms of music and to “soul experiences”, such as joy and sorrow. The gestures for the vowel and consonant sounds are not arbitrary but rather artistically reflect the way the larynx moves in shaping the current of breath so that one or another sound is produced. Movements of the arms and hands show the pitch, the intervals between the notes, and major and minor modes, and even individual chords and notes. The meandering of the melody and its stresses are usually expressed in the form being moved. The feet can emphasize staccato notes or other aspects of rhythm. Individual eurythmists will present the same piece in different ways, but each will aim to manifest the intrinsic elements of the music rather than his or her own feelings about or reaction to it. In the early years the lessons follow an extensive set of exercises based on successively more complicated geometric figures and choreographed forms. Each exercise is chosen specifically to correlate with the developmental stage of learning the pupils are in and works in harmony with our wider curriculum. Rods or balls are sometimes used in exercises to develop precision in movement, and extend the pupils awareness. The rods are usually approximately the length of an arm; the balls are of a size to fit comfortably in one hand. Both are generally made of copper, a material receptive to warmth. In later years, once the basic forms and gestures are well known, they can be composed into free artistic expressions and the subject develops into a performance Art. During performances the element of colour is also emphasized both through the costuming, usually given characteristic colours for a piece or part and formed of long, loose fabrics that accentuate the movements rather than the bodily form, and through the lighting, which saturates the space and changes with the moods of the piece.